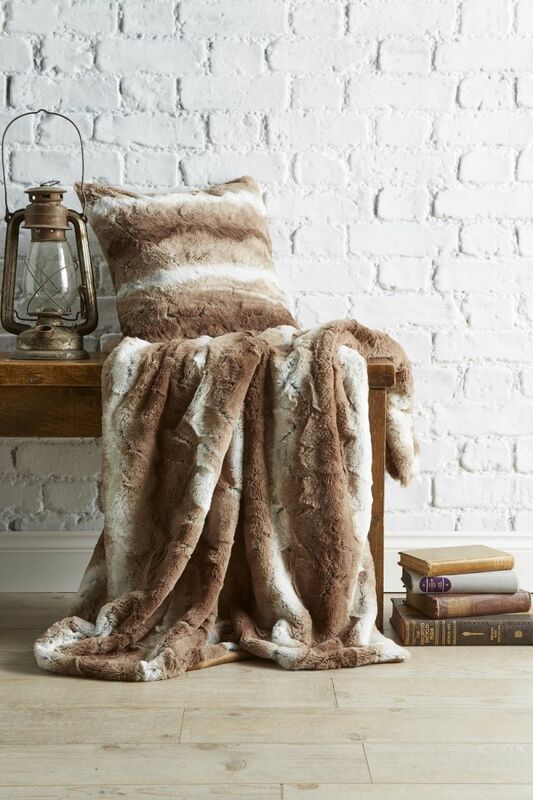 Relax in one of these indulgent, hand-made luxury throws. The beautiful faux fur is sumptuous to the touch, and cosy and warm for those cold winter nights, whilst the classic look will add to any room's interior design. And you can get even more comfy with the matching cushion cover.